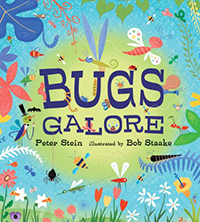 Bob Staake has authored and/or illustrated more than fifty books, including Cars Galore and The Red Lemon, a New York Times Book Review Best Illustrated Children's Book of the Year. His work has graced the cover of the New Yorker a dozen times, and his Barack Obama victory cover was named Best Magazine Cover of the Year by Time magazine. Bob Staake lives on Cape Cod, in Massachusetts.